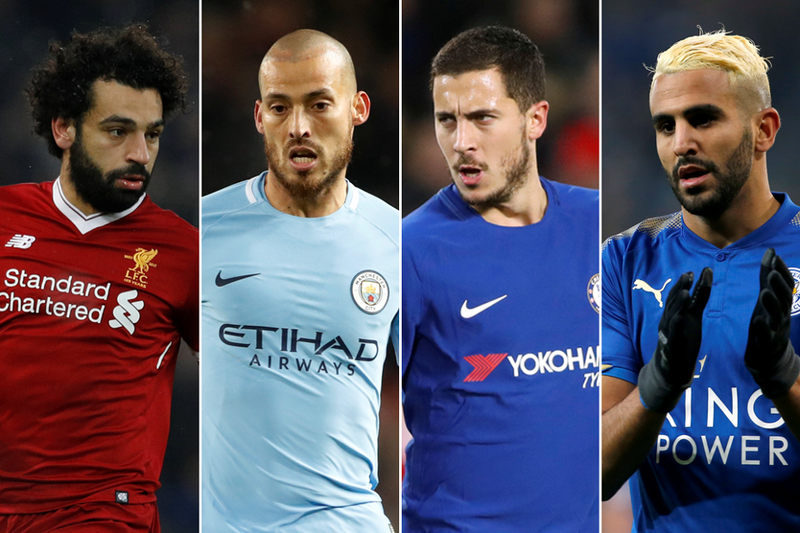 Midfielders dominate the options for Gameweek 18's Fantasy Premier League captaincy. And Mohamed Salah (£10.0m) looks the leading candidate to topple the big striker options. Harry Kane (£12.9m) has been the most popular pick for the last three Gameweeks. But his 40.9% FPL owners face a dilemma ahead of the testing trip to Manchester City. Handed the armband by 25.2% of managers for Gameweek 17, Kane failed to deliver points at home to Brighton & Hove Albion. But he has fired more shots (25) and shots inside the penalty area (13) than any player over the last four Gameweeks. Kane faces a Man City defence who have just one clean sheet in their last five matches at the Etihad Stadium. David Silva (£8.2m) and Kevin De Bruyne (£10.2m) offer in-form candidates for the home side. De Bruyne has four goals and two assists in the last seven Gameweeks, climbing to second in the midfield standings on 103 points. And Silva’s midweek brace at Swansea City took him to just one point behind De Bruyne. The Spaniard has four goals over the last three Gameweeks to earn over 170,000 new owners for Gameweek 18. But the claims of Salah are convincing. The EA SPORTS Player of the Month for November is set to face a AFC Bournemouth defence who have conceded 117 shots at home. No side have allowed more. The Egyptian has excelled on the road from Anfield, producing 33 FPL points in his last three away matches. Indeed, no player has produced more goals than Salah's seven, or shots on target than his 12 away from home. His team-mate Philippe Coutinho (£9.0m) has also been prolific on the road, producing double-figure returns in three of his last four away matches. Eden Hazard (£10.9m) is likely to provide the main threat to Southampton's defence at Stamford Bridge. The Belgian has three double-figure hauls in his previous seven Gameweek starts, including a 15-point tally in his last home match. Southampton travel to west London with just one clean sheet in the last 12 Gameweeks. Alexandre Lacazette (£10.4m) is back into contention for the captaincy. The Arsenal striker is owned by just 10.5% and hosts a Newcastle United defence who have let in nine goals in their previous three away matches. No player has scored more goals than Lacazette (six) at home this season. The in-form duo of Riyad Mahrez (£8.6m) and Wayne Rooney (£7.5m) offer convincing armband differentials. Mahrez has three goals and an assist in the last four Gameweeks ahead of Leicester City’s home meeting with Crystal Palace. Rooney has five goals and an assist in his last four outings and entertains Swansea City on Monday evening. He is the most bought forward in the Gameweek, claiming over 157,000 new owners.